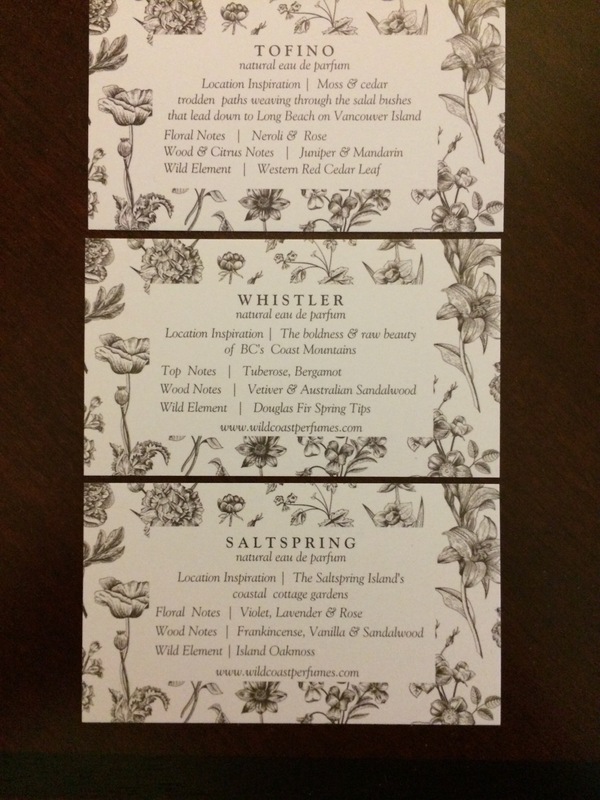 Capture the wild notes in photos and perfumes from Cowichan Bay to Tofino and Ucluelet, so you can always remember Vancouver Island. That’s my advice. The drive south from Chemainus through Crofton to Cowichan Bay is lovely, with glimpses of the Salish Sea through the trees. 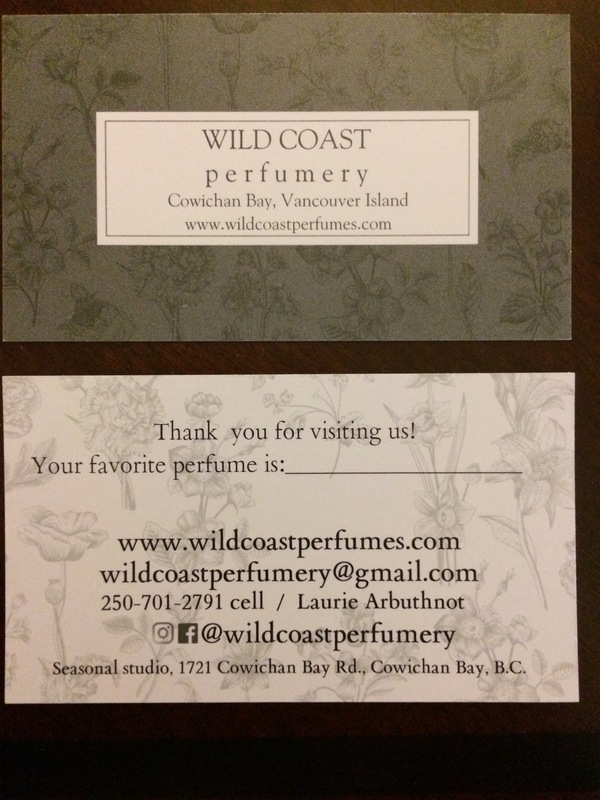 When you arrive, be sure to look up the Wild Coast perfumery. Truly it’s a little treasure of a shop. While chatting with the owner, Laurie Arbuthnot, we learned a lot about how she finds and chooses the ingredients for the perfumes. Each is a unique blend, with a wild note included. I don’t think I’ll ever go back to my old stand-by scent. 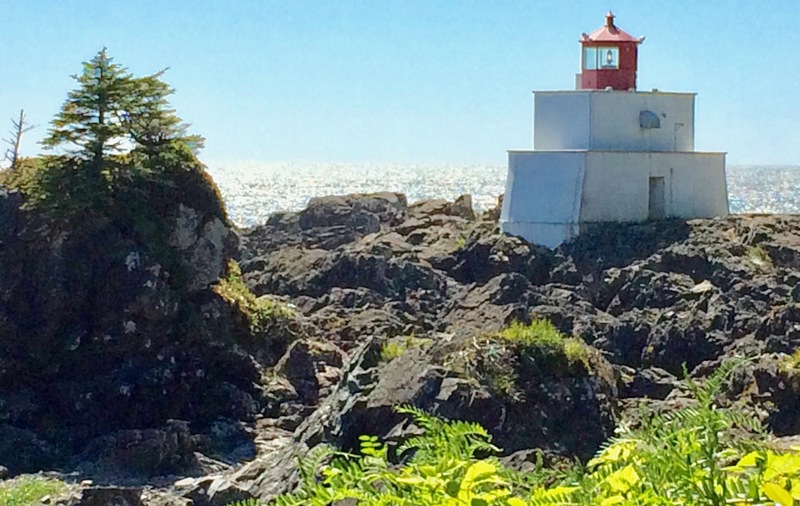 One fine sunny day in June, we headed for the wild west coast and Tofino. (Yes, the sun does shine on the island and I have the photos to prove it!) 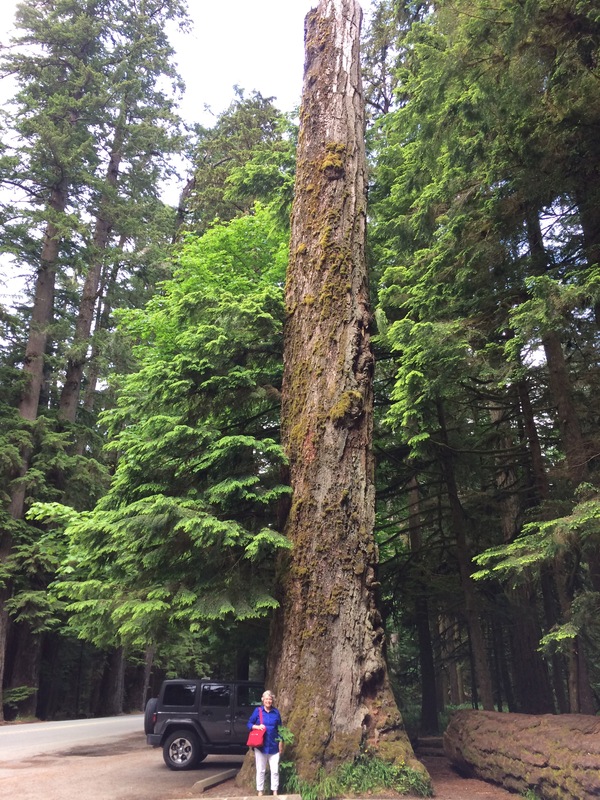 Specifically, we drove north from Nanoose where we were staying and picked up Hwy 4 west through Port Alberni nearly to the coast where the road splits, north to Tofino and south to Ucluelet. By the way, if you say each letter in the word u-clu-e-let, it rolls off the tongue rather well. Plan on at least a couple of hours without stops for the east to west coast drive. The road starts out wide and straight, but by the time we got to Kennedy Lake, we were clutching for the OMG bars. I would love to take a ferry across that beautiful lake, or fly over it in a small craft. Or what about a series of zip lines? Lets try to think creatively here, because I hate to see the beautiful mountainside that drops straight down to the lake blasted away for a wider road. Based on the amount of road construction we encountered, that appears to be what will happen. You wouldn’t think the road at world’s end would leave you with no place to park a car. 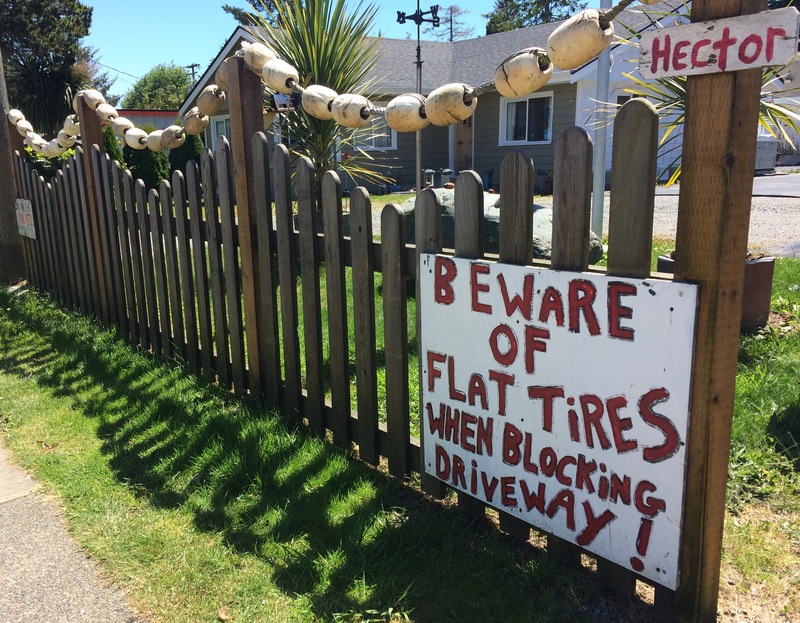 But it’s a tough proposition in little Tofino. 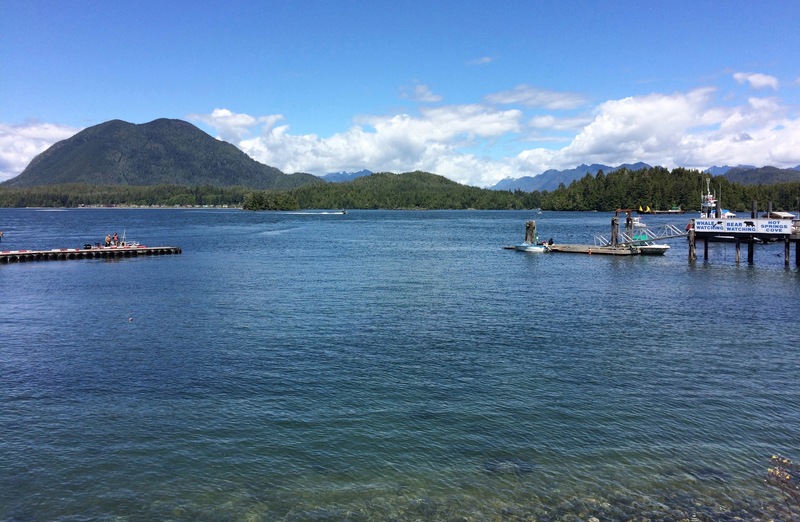 Below is the view beside the Tofino wharf. 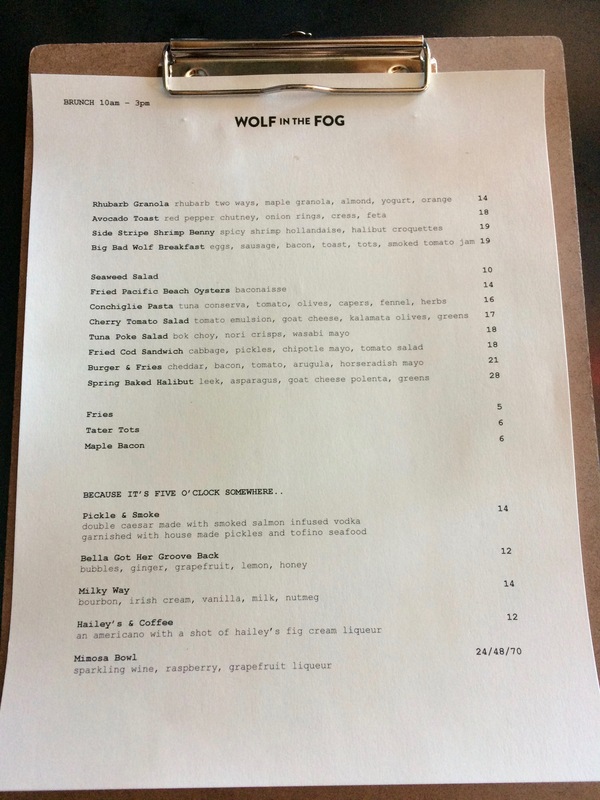 Friends recommended Wolf in the Fog for lunch. From the outside it could have been the local greasy spoon, and we doubted our friend’s taste for a moment. Inside, the ambience is woodsy rugged. When they seated us beside a breezy hanging tarp affair and handed us a clipboard with a menu attached, I felt a little uneasy about what we were getting ourselves into. After I’d read the menu through, however, I began to realize why they would shun stocking a Diet Coke. 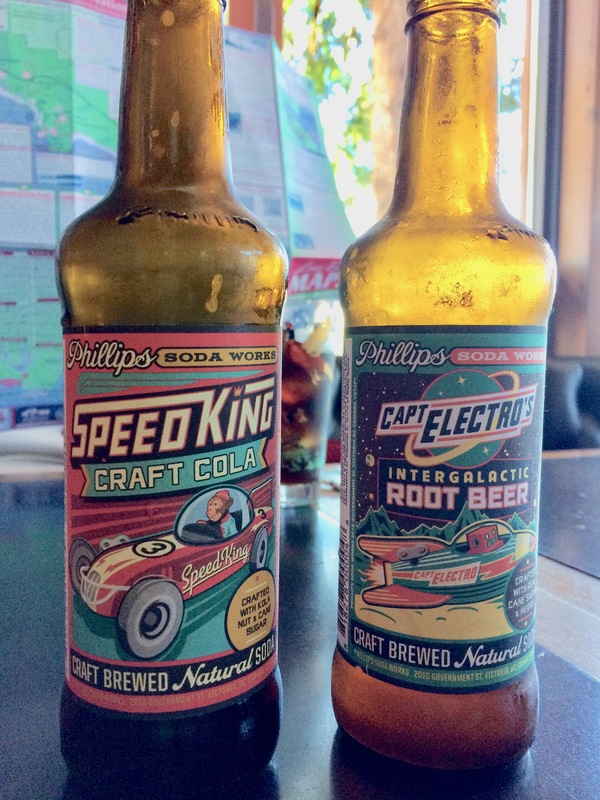 The alternative was a selection of local brews from Phillips Soda Works in Victoria. Really smooth and tasty. Lunch was great and I’d come back in a heart beat if I could. 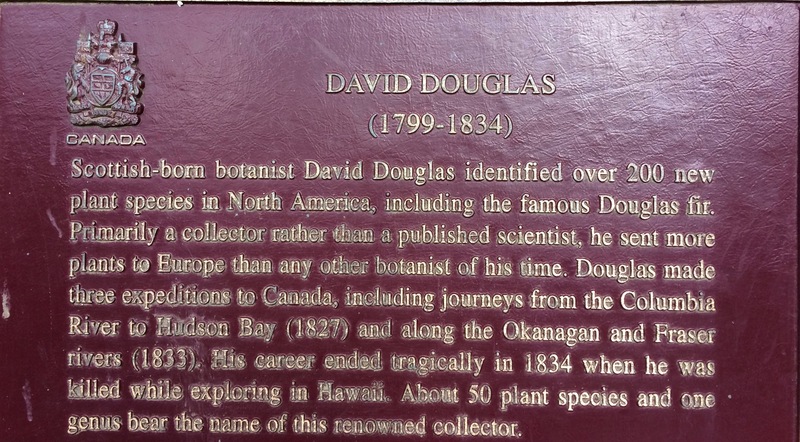 BTW, our visit occurred pre-tourist season, so didn’t require reservations. But I’m sure dinner in the summertime would. Even if you aren’t planning a trip to Tofino, it’s worth taking a look at the Wolf in the Fog web site for the great photography. Two videos show the staff foraging for local ingredients in the forest and ocean of the Pacific Rim National Park Reserve in order to create a distinct cuisine. The website also suggests why a restaurant would choose such a fierce name. By contrast, you’ll recognize the place by the very pacific driftwood Nike sculpture in front. Longbeach — If a few grandchildren of any age had been in tow, this pristine beach would have been wonderful fun. My friend and I both hide from the sun, however, so our stroll was brief. 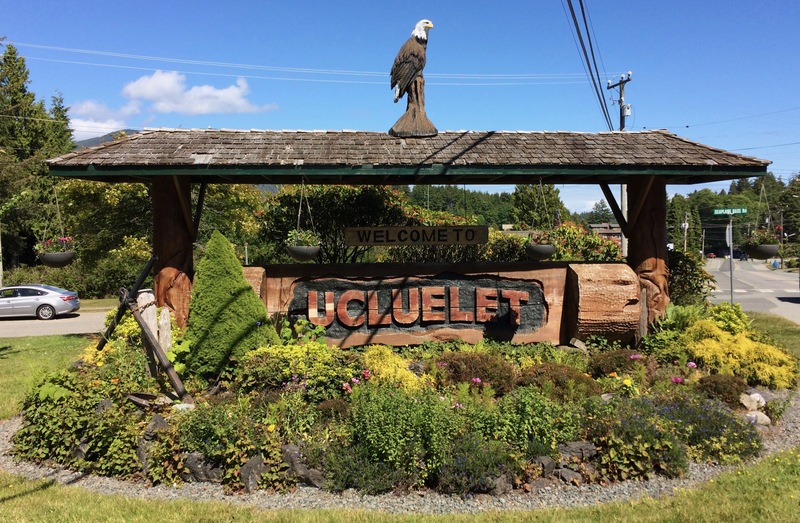 Ucluelet — It’s beautiful everywhere you look. I’d love to come back with time to take a hike, or hire a boat and do some fishing. 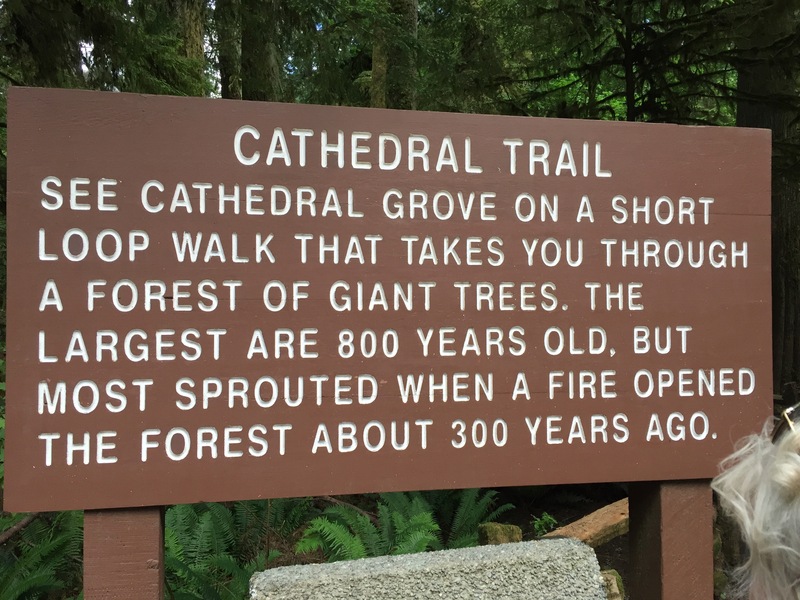 With the scent of the ocean still in our memory, on our return to Nanoose we stopped at Cathedral Grove in Macmillan Provincial Park. 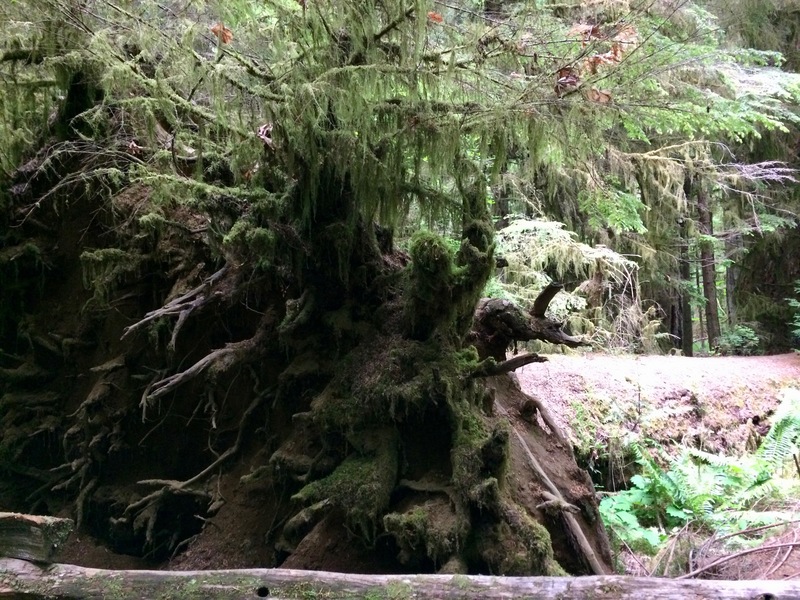 The ancient trees along the main loop are immense. Light filters through occasionally, and the scent of the wild is pronounced.